The benefits of team teaching in language education have largely been recognized in the literature. Nevertheless, there remain many barriers to achieving adequate teacher collaboration in the classroom. Such barriers may be a result of real-world constraints, such as a lack of time for preparation, or may be caused by personal or cultural factors. 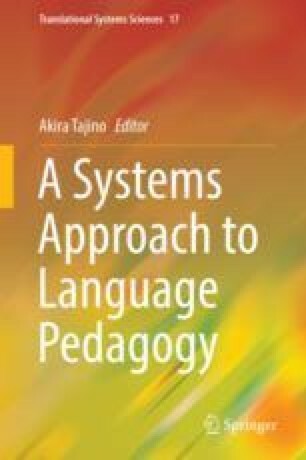 This chapter takes a managerial systems approach to the team-taught language classroom and suggests a methodology to help teachers overcome these issues. First, the ideal form of team teaching, Team Learning, is introduced, and the concept of a shared value in the classroom is discussed. Soft systems methodology (SSM) is then proposed as a tool for team-teaching practitioners to overcome hurdles in collaborative teaching. It is suggested that the implementation of SSM may assist practitioners in achieving Team Learning by inspiring systemic change in the team-taught classroom. This change should lead to emergent properties beyond those that might be expected in a traditional one-teacher classroom. The author would like to extend his gratitude to Mrs. Maiko Ikegami for her insightful comments regarding our hypothetical team-teaching situation. Copland, F., Davis, M., Garton, S., & Mann, S. (2016). Investigating NEST schemes around the world: Supporting NEST/LET collaborative practices. Resource document. British Council. http://www.teachingenglish.org.uk/sites/teacheng/files/BC_Report_online_screen_res_final_ te.pdf. Accessed 12 Nov 2017.